Granite Fountain Marble Fountain Stone Fountain best hand carved works at affordable prices.Stone Wall Fountains Stone Indoor Fountains Stone Garden Fountain Stone Outdoor Fountain Stone Water Fountain. Xiamen Granite and Marble Creations Co., is a professional designer and marker of extensive garden stone ornamental items. Stone marble fountain is one of our specialties.Contemporary and antiqued designs of stone garden fountain available. 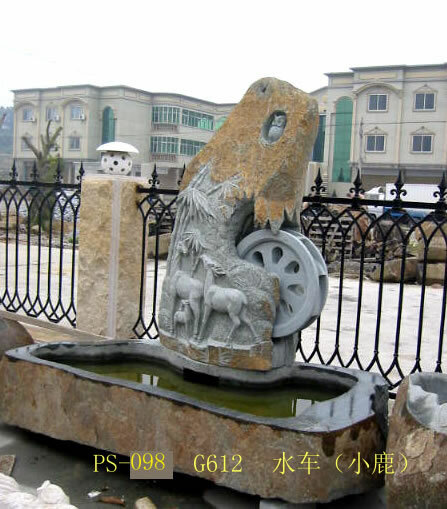 We supply following fountains: granite marble fountain with coping,granite marble ball fountain, wall granite marble fountain,high rise granite marble fountain and pedestal granite marble fountain. Some fountains can be used for indoor and outdoor applications.Customized stone fountain designs available.